New experiences are coming to Mickey’s Not-So-Scary Halloween Party this fall at the Magic Kingdom. The Mad Tea Party will feature new lighting and effects, and guests’ costumes might even change color. Pirates of the Caribbean will have a new pirate experience as guests join the search for Gunpowder Pete. And over on Space Mountain guests will experience a new soundtrack and special effects. And finally, Storybook Circus will feature the new Storybook Circus Disney Junior Jam, a dance party with Disney Junior Characters, including Doc McStuffins. 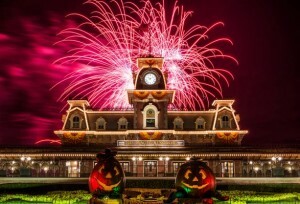 MNSSHP takes place on select nights from August 17–October 31.